Ballrooms and dancehalls are recreational facilities with live or prerecorded music or other entertainment. Most offer lessons; many sponsor a competitive dance team. Some host parties, dance competitions, or other special themed events at the facility. The type of dancing and music, the age of the clientele, and the type of clientele normally attracted to the facility should be considered. Most offer eating and drinking facilities; some have a full-service restaurant offering alcoholic beverages. Refer to the Eating and Drinking Places category for a more detailed discussion on restaurant and bar exposures. are due to electrical wiring and the maintenance of the floors used for dancing. Electrical wiring must be up to code and adequate for operations. Regular refinishing of the floor is required to maintain a good dancing surface. The refinishing process creates dust and fumes and involves the use of flammable liquids which should be stored away from ignition sources. There should be adequate ventilation during the refinishing operation to prevent the buildup of dust. If cooking is done on premises, all cooking equipment must be properly controlled. is from employee dishonesty and money and securities. Background checks should be conducted on all employees handling money. All financial duties should be performed by different individuals with regular reconciling as part of the procedure. If there is cash admission or if a restaurant is present, all money should be counted by two employees before moving to a central secured area. Regular deposits should be made and the number of cashiers should be limited. When tournaments, exhibitions, or other sponsored events occur, cash can increase considerably requiring extra security. exposure is limited. If the ballroom owns computerized sound and lighting equipment, computer coverage may be needed. If a dance group performs off site, a Miscellaneous Property Floater will be needed. 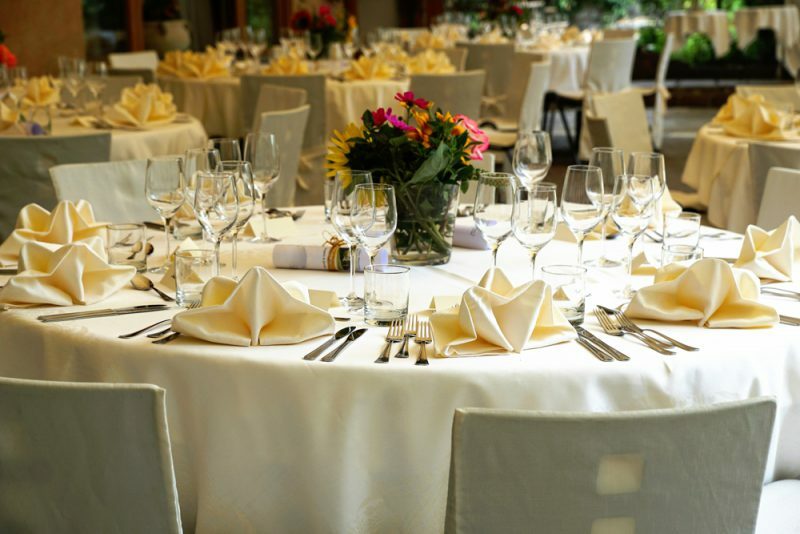 If the ballroom assumes responsibility for personal property of guests while on the premises, bailees customers coverage should also be considered. can be significant from dancing because of the potential for slips, trips, and falls and the large number of visitors to the premises. Floor coverings must be in excellent condition. Public and life safety code compliance is very important. Adequate lighting, marked exits and egress are mandatory. Steps must have rails, be well-lit, marked, and in good maintenance and repair. Parking areas should be maintained free of snow and ice. Criminal background checks should be conducted for any employee supervising children or youth during dancing classes. can be high if there is a restaurant on premises due to the potential for food poisoning from inadequate food storage, handling, and cooking procedures, or from foreign objects in food. can be extensive. All servers must check for ID and must be able to identify an intoxicated individual and refuse service. is normally limited to hired Non-owned for employees running errands. If patrons are transported or valet or limo services are provided, drivers’ records and MVRs must be routinely reviewed. All vehicles must be maintained on an ongoing basis and service documented. is generally limited. Instructors may suffer strains or be kicked as they intervene to protect students from falling during dance classes. If instructors also entertain, they may sustain dance-related injuries such as sprains, slips or falls. Maintenance employees may be exposed to fumes from the floor coatings during the refinishing process. Food service employees are exposed to possible burns and kitchen related cuts, slips and falls. Employees may be required to work at heights to change lights or to work on overhead equipment.